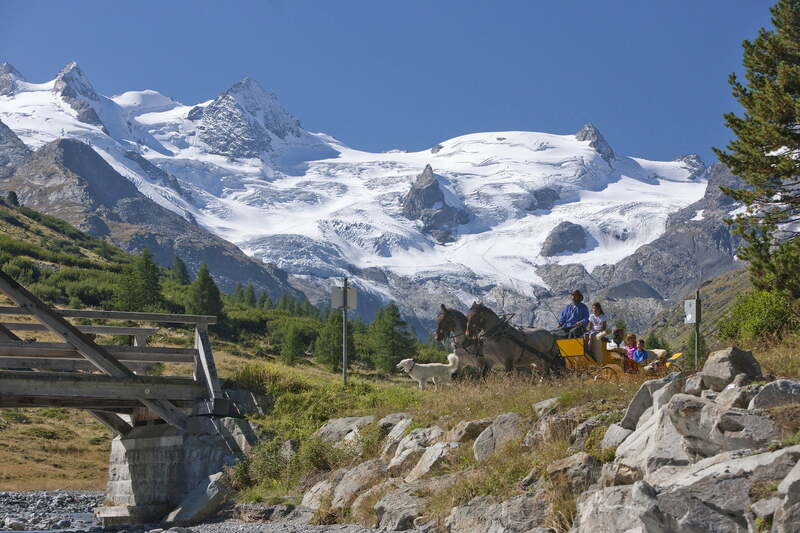 Just sit back, relax, and let the horses pull you at a leisurely pace to the Hotel Roseg Gletscher at the far end of the idyllic Val Roseg. Of course, you could also make the 7 km (4-mile) journey on foot, but there's something wonderfully romantic about a horse-drawn carriage ride on a lovely summer's day. At the Hotel Roseg Gletscher, enjoy the gastronomic treats on offer - along with the views of the nearby glaciers and the impressive Bernina massif. state: April 2018, prices subject to change.